Kinsella often ate at the nearby A-1 Café on Granville and he liked to hang out at the Vancouver Public Library where he wrote parts of several books. The promoter Garth Drabinsky used to send him tickets to preview nights for his productions, so Kinsella often attended the theatre. 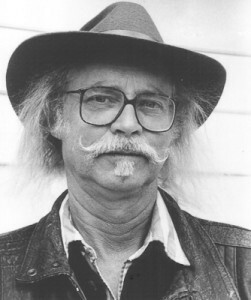 Kinsella had three one-act plays produced at the Waterfront Theatre on Granville Island while he was living in White Rock: Thrill of the Grass, The Night Manny Mota Tied the Record and The Valley of the Schmoon, circa 1988. Born in Edmonton, Alberta, on May 25, 1935, William Patrick (Bill) Kinsella invoked the assisted dying provisions of Bill C-14 and died at Hope, B.C. at 12:05 p.m. on September 16, 2016. He had been a type 2 diabetic for most of his adult life. W.P. Kinsella was born in 1935 as the son of John and Olive Kinsella. His father was a plastering contractor and he was home-schooled by his mother in a remote Alberta homestead near Darwell, 60 km. west of Edmonton. Without other children around, he used his imagination to entertain himself and took correspondence courses until Grade Five. “I’m one of these people who woke up at age five knowing how to read and write,” he said. His family moved into Edmonton when he was ten. He was an avid reader who developed a keen interest in baseball, although he himself was never much of a player. At age 14, he won a YMCA contest for a short story called Diamond Doom about a murder in a ballpark. At 18, he published a sci-fi story about a totalitarian society. He married in 1957 and raised a family. In 1967 he moved to Victoria where he drove a taxi and operated a pizza restaurant called Caesar’s Italian Village. Other ‘vile occupations’ included selling Yellow Pages advertising, managing a credit bureau and selling life insurance. In 1970 he began taking writing courses at the University of Victoria, mainly benefiting from the tutelage of W.D. Valgardson. He received his B.A. from UVic in 1974. He began selling his stories in 1975. He received an M.F.A. from the Iowa Writers Workshop at the University of Iowa in 1978. He taught English at the University of Calgary from 1978 to 1983. Kinsella’s work ethic remained consistent and he was stubbornly persistent about re-submitting material that had been rejected. 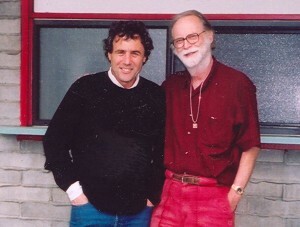 In 1983, while living with his third wife, Ann Knight, in a White Rock apartment, he made his decision to try making his living as a writer on a fulltime basis. W.P. Kinsella’s popular “Indian stories”, mostly set on the fictitious Hobbema reserve of Alberta (based on the Ermineskin Reserve and the indigenous community of Hobbema that changed its named to Maskwacis, meaning Bear Hills, in 2014) resulted in a remarkable string of highly entertaining tales that have been superficially attacked as racist. They feature a Cree narrator Silas Ermineskin, a would-be writer, and his outrageous entrepreneurial sidekick Frank Fencepost, as they invariably outwit white authorities. Despite the widespread appeal of these stories, Kinsella didn’t receive the Leacock Medal for Humour until 1987, ten years after he made his debut. Kinsella flatly rejected criticism that he had demeaned Indians by resorting to stereotypes. Dance Me Outside, a superb story in his first collection, was made into a Canadian movie by director Bruce McDonald, but Kinsella abhorred the result. “I gave him plot, geography and characters and he chose to ignore them,” he said. The main characters resurfaced in the TV series called The Rez. Kinsella was better known around the world for his baseball-related fiction, often incorporating magical or supernatural events. One of his best stories, The Thrill of the Grass, recounts how a retired locksmith reclaims the energy and purpose of his youth by secretly replacing artificial turf in a major league baseball stadium with real turf. Plans were long afoot to mount a musical version of Shoeless Joe. 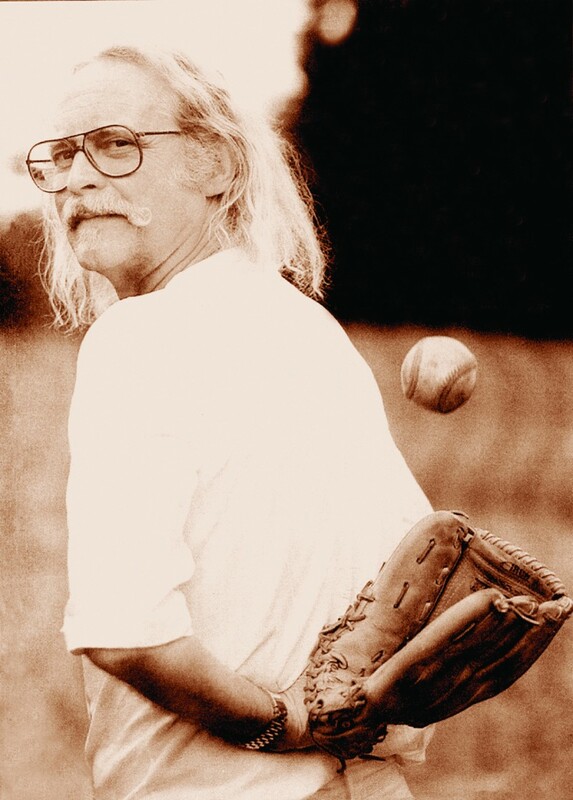 A Member of the Local Nine: Baseball and Identity in the Work of W. P. Kinsella is a study of his baseball writing by Willie Steele, who later began work on a biography of Kinsella. 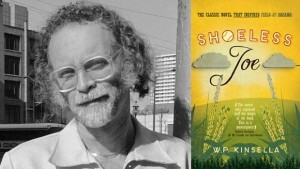 Non-Indian and non-baseball books include his collection of short stories, Red Wolf, Red Wolf, his nostalgic Alberta novel called Box Socials, some poetry in The Rainbow Warehouse and a non-fiction book Two Spirits Soar, about Saskatchewan Cree painter Allen Sapp and Sapp’s mentor, Allen Gonor. Kinsella believed some of his best work could be found in Red Wolf, Red Wolf. Not entirely ignored by the CanLit establishment, Kinsella won the $10,000 Houghton Mifflin Literary Fellowship, the Books in Canada First Novel Award, the Canadian Authors Association Fiction Award and Leacock Medal for Humour. He also received the Order of Canada, the Order of British Columbia, the George Woodcock Lifetime Achievement Award, the Queen’s Diamond Jubilee Medal and he was inducted into Canadian Baseball Hall of Fame as a baseball writer. Kinsella strongly supported the Reform Party in federal politics and was a member of American Atheists. He taught briefly in Calgary before relocating to White Rock, B.C. In 1997, Kinsella was stung by a vengeful portrait in Vancouver magazine by his ex-lover Evelyn Lau, with whom he had a relationship from 1995 to 1997. Kinsella sued for the detailed account that exposed him to ridicule; and the case was settled out of court. Vancouver magazine published an apology. On October 11, 1997, Kinsella was struck while walking on a south Surrey sidewalk when a vehicle driven by Rupert Sasseville backed out of a driveway. He claimed injuries suffered have made it impossible to write, giving rise to a lawsuit. 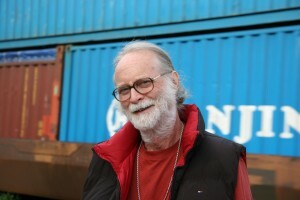 Formerly based in White Rock, Vancouver and the Fraser Valley, Kinsella became “unintentionally retired” and subsequently lived in relative seclusion in Yale, B.C. for many years following his accident as a pedestrian. A similar traffic accident befell American writer Stephen King when he was out for a walk. Also like Stephen King, Kinsella has had his work denigrated by some who are envious of his popularity. Kinsella remains B.C.’s closest equivalent to King in terms of adaptations for television and movies. In addition to Field of Dreams and Dance Me Outside, movies were made of his short stories The Job, Lieberman in Love, John Cat and Caroline. He has published more than 30 books of fiction, as well as hundreds of short stories, articles, stageplays and screenplays. “Inspiration is hard work,” he said. Following his civil suit, Kinsella veered increasingly towards playing competitive Scrabble but eventually resumed writing. He collaborated with a Japanese journalist to produce a book in Japanese about the right fielder of the Seattle Mariners, Ichiro Suzuki, the American League MVP and Rookie of the Year, but Kinsella provided his content via interviews. His fanciful baseball novel Butterfly Winter in 2011 [see below] is a fusion of previous work. As a big fan of traditional country ‘n’ western singers such as Tom T. Hall, Merle Haggard and George Strait, Kinsella wished he might one day have some song lyrics recorded. At age 77, in March of 2012, he celebrated his 13th wedding anniversary with Barbara Turner Kinsella, who he met as a neighbour in White Rock 29 years earlier. She died in 2013. W.P. Kinsella was survived by his daughters, Erin Kinsella, who cared for him in his final years, and Shannon Kinsella, stepchildren, Scarlet and Aaron Gaffney, and Lyn Calendar, grandchildren Dennis Christopher Gane, Jason Kirk Kinsella, Kurtis William Kinsella, Max Knight Kinsella, as well as his best friends Lee and Maggie Harwood. In accordance with his wishes, there was no memorial service. A posthumous novel by Kinsella set in 1979 Vancouver is Russian Dolls (Coteau Books, $21.95). According to promotional material, the Russian Dolls protagonist is “Wylie, a struggling author who lives in a rooming house occupied by an assortment of losers and hangers-on. A girl named Christie takes a room and eventually they move in together. Wylie believes that Christie is his Muse, and believing it makes it so; his stories begin to sell. Christie tells him dark, dangerously inconsistent stories of her past. Are any of them true? Or is the enticing but erratic Christie simply the better storyteller of the two? Ichiro Dreams: Ichiro Suzuki and the Seattle Mariners (Kodansha, 2002) – non-fiction, Japanese only. The Rainbow Warehouse (Pottersfield, 1989) – poems, reflections. With Ann Knight. Gonor (Don Mills, Ontario: Stoddart, 1990).